7 Is a loan through Prosper right for you? 8 What are your financing options? 9 Is Prosper’s marketplace model right for you? 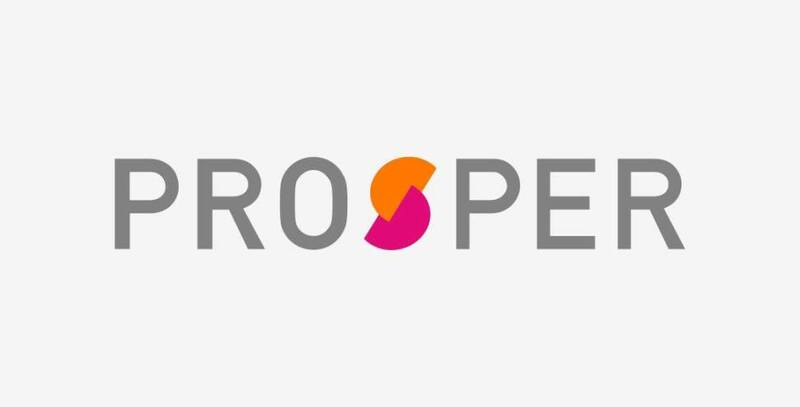 Prosper is a San Francisco-based company that operates a peer-to-peer online credit marketplace that has facilitated nearly $9.7 billion in loans since 2006. Borrowers can use loan funds for an array of purposes, such as debt consolidation, home improvement, auto loans, baby and adoption, or a special occasion. Since Prosper is a marketplace platform, getting a loan isn’t as straightforward as working with a typical lender. Once you apply, investors must make a financial commitment to reach your funding goal. As long as you reach 70% of your goal, your loan will be funded, but it can take a few days to hit that mark. If you’re able to wait for your loan funds instead of receiving them within a day or two, you may qualify for some attractive rates. When seeking a personal loan through Prosper, limit your request to an amount ranging between $2,000 and $35,000. APRs vary greatly, anywhere from 5.99% to 36%. Obviously, factors such as your credit score, income, and current debt load all affect the exact rate you’ll receive. Loans through Prosper are fairly short-term, with fixed repayment periods of either three or five years1. All payments are owed on a monthly basis and you can request a quote on your rate and other terms with no hard check on your credit report. All loans through Prosper do come with an origination fee, which ranges between 1% and 5%. The precise charge varies based on your Prosper rating. Most Prosper borrowers have fairly strong financial histories. The minimum credit score required is 640, but the average borrower has a 710. Income is also relatively high at just over $88,500, compared to the national real median personal income of $30,240. All borrowers will need to have a debt to income ratio of under 50% in order to qualify for a loan through Prosper. On top of that, you shouldn’t have any recent bankruptcies and you do need at least some type of credit history. If you’re a brand new borrower, you likely won’t be approved. To start the application process you’ll need to submit your social security number and financial information. You’ll likely also need to provide supporting documentation to confirm your income, such as recent pay stubs or a tax return. Once you’ve been approved as a borrower, you’ll receive a Prosper rating, which lets investors know how risky your loan could be. But high risk doesn’t mean you won’t get funded — since investors can earn a higher rate of return, many prefer to fund these loans. After that, your loan is listed on the marketplace. Investors can commit as little as $25 or as much as your entire loan amount. Most who choose to invest pick an amount somewhere between the two. Many investors have their portfolios built automatically based on their preference of risk ratings, so they might not even read your listing specifically. You can check your application status through your online account where you’ll see what percentage of funds has been committed to date. You’ll also find a list of any missing documentation you need to submit. Once your loan hits 70% funding and your information has been verified, Prosper lets you move forward with receiving your funds. When your loan is approved and funded, you’ll receive funds in your bank account through direct deposit. The origination fee is deducted from this amount, so it’s important to make that calculation as part of your financial planning process. When it’s time to start making payments, you have several options available. Autopay is most recommended so that you can stay on track of your due date, but you can also pay by phone, online, or check. There is a fee for making your payment through check — either $5 or 5% or your payment, whichever costs less. For simple accounting, if your payment is over $100, you’ll just owe the $5 in addition to your regular payment amount. You can also incur a late fee for any payments made after the due date. If you reach 15 days past due, you’ll receive a fee of$15 or 5% of your unpaid bill, whichever one is greater. There’s also a $15 insufficient funds fee in the event that your payment is returned. Prosper is partnering with Clarity Money to provide an app for users to better manage their finances. The app allows users to cancel unnecessary accounts and lower your bills. And as long as you make your payments on time each month, you may be able to build your credit with a loan because they report to all three credit bureaus. If you’re looking for a personal loan specifically to fund a medical procedure, Prosper has partnerships with providers to help their patients access credit. Prosper Healthcare Lending helps providers offer their patients a financing option that could be an alternative to high interest credit cards. You can get an approval decision in as little as two minutes so that your decision-making process isn’t hindered by a long loan application. Prosper began in 2005 and was the first marketplace lending platform in the U.S. They’re dedicated to facilitating and servicing personal loans in a way that is beneficial to both borrowers and investors. Currently, it’s a private company backed by large investors such as Sequoia Capital, Francisco Partners, Institutional Venture Partners, and the Credit Suisse NEXT Fund. Is a loan through Prosper right for you? Any financing decision is an extremely personal one. Consider all your options concerning personal loans in general, then hone in on Prosper’s specific design to see if it’s a good fit for your needs. Here are a few factors to take into account before you make up your mind. Depending on your funding needs, a personal loan may or may not be the best choice for you. In most cases, they’re best for people who need a large chunk of money and want a few years to pay it off. For short-term financial needs, you may find more flexibility with a credit card. If you know you’ll be able to repay your debt in a short amount of time, look for a credit card with a low-interest introductory period. It may not be worth paying the personal loan origination fee, so do a side-by-side comparison of costs. Your credit score, income, and current debt load also affect your best borrowing options. If your application is denied or your rate is extremely high, think about how time sensitive your financial needs are. Could you wait another six months or year to use the funds? For something like a home remodel or vacation, then the answer might be yes. Take the time to actively repair your credit score or lower your debt so that you can get better loan terms. Once you confirm that you’ve made some positive changes, redo the pre-approval process to check your new loan offer. Is Prosper’s marketplace model right for you? Peer-to-peer marketplace lending has opened up a lot of doors for borrowers and investors alike. But is it right for you? If you’re looking for fast funding, then probably not. Investors have up to 14 days to commit funds to your loan application so it can take that long before you see any cash. However, if you’re not in such a rush, then a loan through Prosper could be a great option. It offers all the same perks as a traditional lender and could potentially even give you better interest rates than if you went to a regular bank. Once your loan is listed on the Prosper marketplace, it’s important to understand what investors actually see about you. While personally identifying information like your name is withheld, they still do see some basic information about your loan request. On top of your Prosper rating, which indicates your creditworthiness, your listing also includes the intended purpose of the loan funds and your city and state. While no one could figure out who you are, it’s something to be aware of to make sure it’s within your comfort zone. Investors can also see how much remaining funding is needed, which can help inform their own decision on how much to contribute. Once you weigh the pros and cons of a marketplace loan through Prosper, you can go online for a pre-approval. You can check your rate with just a soft check so you don’t have to worry about any hard pulls affecting your credit report. If you like what you can see, you can complete the application process and move into the funding portion. From start to finish, you’ll benefit from total transparency with a loan through Prosper. *For example, a three-year $10,000 loan with a Prosper Rating of AA would have an interest rate of 5.31% and a 2.41% origination fee for an annual percentage rate (APR) of 6.95% APR. You would receive $9,759 and make 36 scheduled monthly payments of $301.10. A five-year $10,000 loan with a Prosper Rating of A would have an interest rate of 8.39% and a 5.00% origination fee with a 10.59% APR. You would receive $9,500 and make 60 scheduled monthly payments of $204.64. Origination fees vary between 2.40%-5%. APRs through Prosper range from 6.95% (AA) to 35.99% (HR) for first-time borrowers, with the lowest rates for the most creditworthy borrowers. Eligibility for loans up to $40,000 depends on the information provided by the applicant in the application form. Eligibility is not guaranteed and requires that a sufficient number of investors commit funds to your account and that you meet credit and other conditions. Refer to the Borrower Registration Agreement for details and all terms and conditions. All loans made by WebBank, member FDIC.